Smart Motion Sensor Detection -- The Sensor Light has a built-in motion sensor that detects movement from up to 7-10 ft. away. 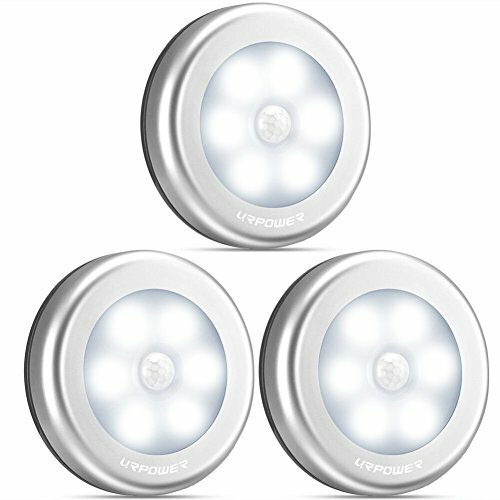 Perfect for any Location -- This light can be used to light up your hallways, stairs, bathrooms, bedrooms, closets, storage areas and so much more. Wireless, battery powered operation means no installation hassles. No electrician is needed. You can install batteries into the unit, mount the light where you need it, and enjoy the safety and security of the unit's 10 lumen LED light.